Parkour is a new, developing and exciting sport which involves negotiating obstacles, typically in an urban environment, by running, jumping and climbing. 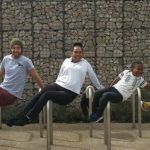 Parkour offers every benefit of physical activity but most importantly our services challenge participants to develop mental strength, social skills, resilience, confidence and problem solving skills thereby improving their mental health and lives and help this highly marginalised section of our society to integrate into their communities. 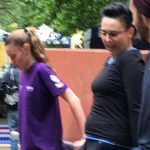 Free Your Instinct aims to use Parkour to increase physical activity participation in those living with mental health difficulties – a population greatly at risk of inactivity related illness due to both the symptoms of mental illness and the side effects of medication. 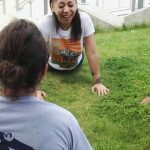 Uniquely the classes we offer focus on using parkour to develop social skills such as team work, managing fear and social anxiety as well as individual achievements such as mental resilience, problem solving, and changing perceptions and interactions with their lived environment.